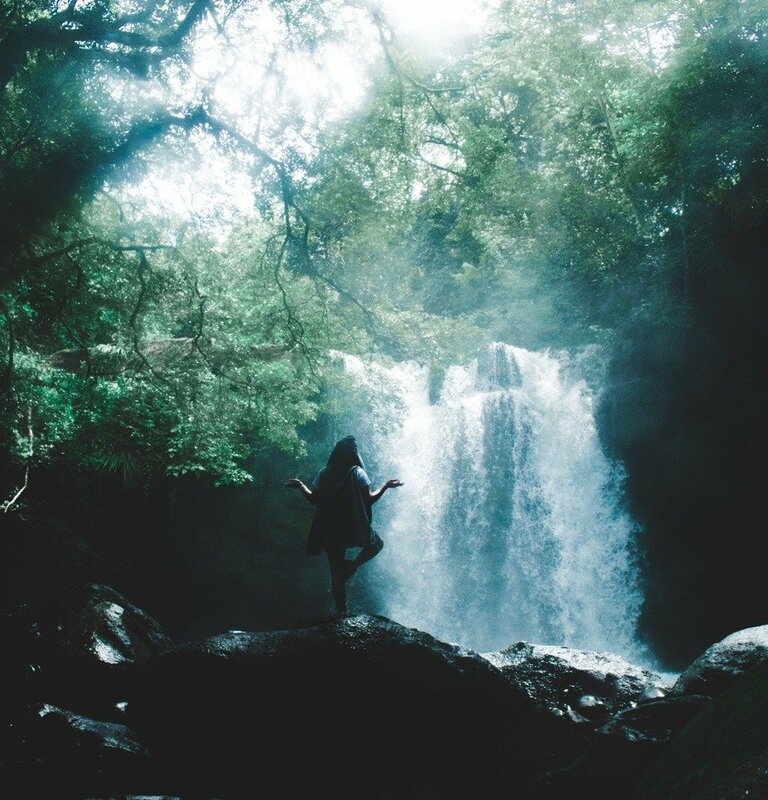 Escape for a magic day to a peaceful rural venue in the heart of a new EcoVillage to explore what makes a sustainable yoga practice in a sustainable environment to create a sustainable life….spirit in action in simple ways both on and off the yoga mat. Your day will guide you to explore truly sustainable yoga practices to suit YOU and the life direction you are taking now. It’s suitable for anyone regardless of yoga experience, injury or other “limits” often placed on practicing Yoga. Expect a (moving) morning and (gentle) afternoon yoga practice to develop techniques and manifest the “Self-Care” we so often forget. Expect to reframe why and how you “do” Yoga. Silent forest walk and meditation in the ancient State forest and arboretum next to the venue. Chance to tour the newly-emerging Narara EcoVillage for inspiration on how to live your daily life with purpose and embody the principles of SUSTAIN-ability back in Sydney. It just might save your body and the world. Narara is about 4 mins drive from Gosford on the Central Coast. There is ample free parking on site. Or take the train to Gosford or Narara station and we can organize transfer from there by arrangement. Cancellation up to 48 hours prior to event date is possible subject to a $25 cancellation fee. Less than 48 hours’ notice of cancellation is only possible if we can fill your place from a wait-list. “26 years’ experience of yoga practice has taught me that my Yoga should sustain me, my body, my relationships and my mind. But the practice was not meant to hurt me, impress my guru or get me more likes on Insta! Over-stretching or “advanced poses” should never be confused with “spiritual opening”. They are just misplaced ambition. If I’m honest I refused to recognize this for a long time for which I often paid a physical price…This was the opposite of “sustainable”. Mark is the founder of Qi Health & Yoga and has practiced Yoga for 26 years with well over 10,000 teaching hours under his belt. He is renowned for inventive, deceptively simple but inspiring classes that offer hidden depths to students of all levels. He and his wife Nicky are members of Narara EcoVillage and are restoring the “Heritage House” there to be more environmentally sustainable and livable. 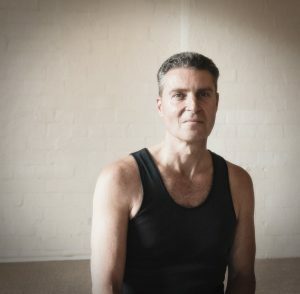 He holds Senior/Level 3 membership of YogaAustralia and continues to advocate for lifting teaching skills and standards for the benefit of all teachers and students. He has trained in depth with Donna Farhi over 19 years, and many other legendary teachers and inspirations including TKV Desikachar, Mark Whitwell, Mark Breadner, Shiva Rea, Annie Carpenter, Karen Schaeffer and J.Brown. Allow about 90 minutes drive from Manly. Or train to Gosford or Narara station and we can organize transfer from there. $129 includes lunch, forest meditation walk, 2 yoga practices, teaching sessions and ecovillage tour. I came away from this yoga retreat replenished and feeling centred. I loved Mark’s approach to yoga without efforting. Effort-Less Yoga. And the food was gorgeous healthy and plentiful. And the brownies were out of this world. If you want to recalibrate or deepen your practice there’s no better way. Mark is so generous with his knowledge and gentle in his practice. we’ve learned a lot about ourselves and yoga and our practice – and still had a holiday! This lapsed yogi goes home inspired and rested and eager! You’ve provided a treasure chest of tips & inspiration. Your humour & practical approach to yoga is refreshing and insightful. Thanks for your words of wisdom, finesse with structure and the small nuances that make all the difference.